Everyone needs some bubbles in life and a spa pool is a great place to start. Do you like spas? It is a rare person who doesn’t. 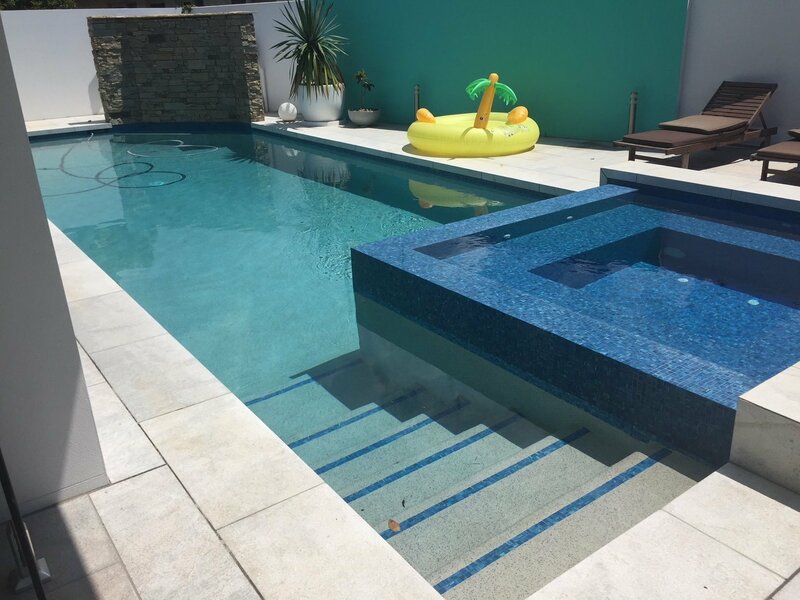 We at Cozy Pools the leading concrete pool builders can integrate a spa into your pool design or you can have a stand-alone spa. We are specialists in an ultra-smooth interior finish by using quartz pebble sourced from the pristine rivers in New Zealand’s mountains. Added to this you have many options in the way of creative lighting and landscaping to create that perfect spa environment. A spa is a great place to soak away the day and enjoy great conversations with close friends and family. We can offer a diverse range of water sanitisation systems that will help those with sensitive skin or those with conditions like eczema or psoriasis. Heating a spa is not as expensive as it used to be. Heating can cost as little as what it costs to buy a cup of coffee each day! Technology has come a long way. You have the choice to use solar, gas or electricity. We can help you decide the best option for your situation. 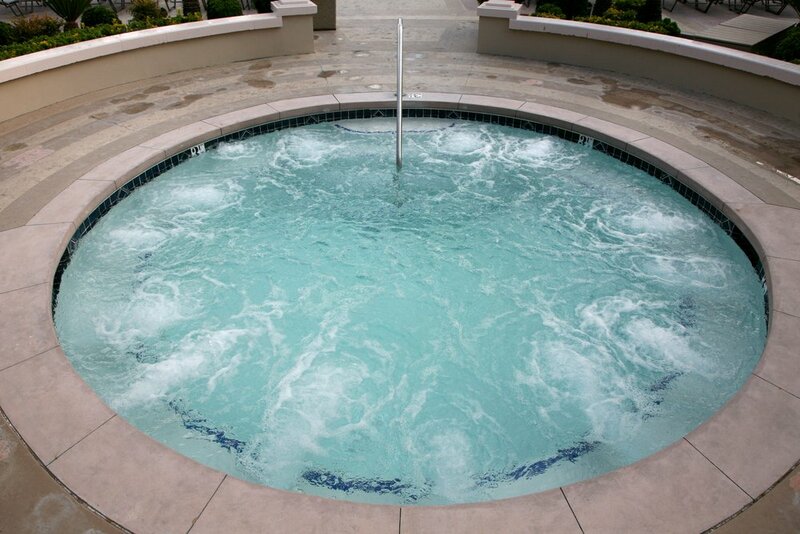 As the leading concrete pool builders on the Gold Cost we are also experienced in the construction of spas. No spa is complete without greenery and vegetation. We can offer a complete service in the way of decking and landscaping. 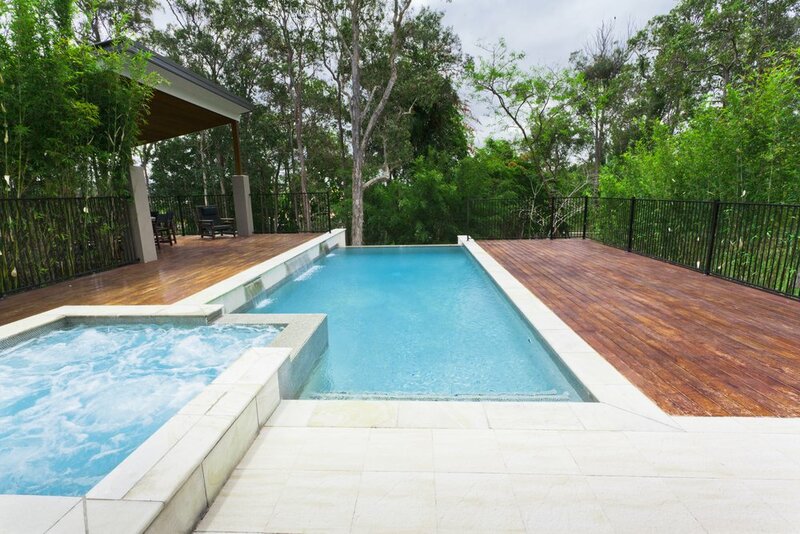 Whether your spa is above ground or sunk in we will do whatever you need to complete your dream come true. We pride ourselves in our professionalism, superior engineering and customer service. 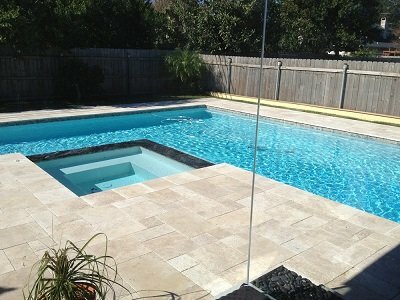 Your pool or spa build will be one that is hassle free that won't take up all your valuable time. All our tradesman have a reputation of being second to none. Whether you spa is for play, relaxation or looks we will educate you so your well-informed decision is one that you can be proud of.